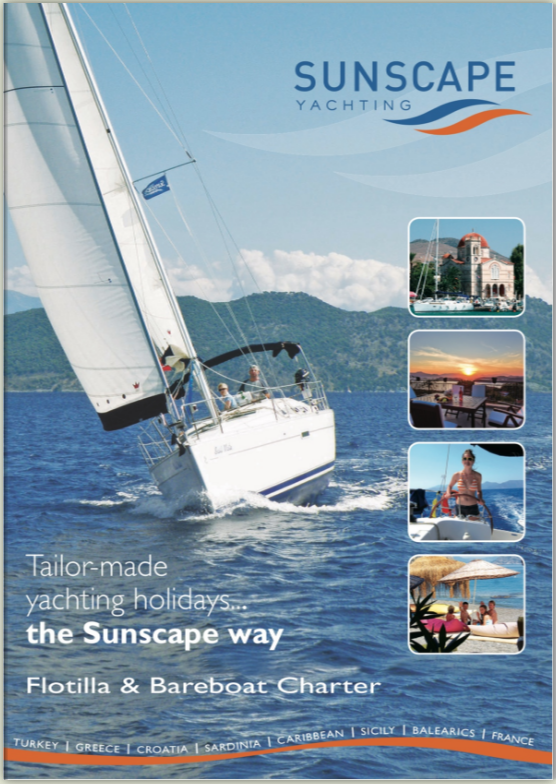 At Sunscape Yachting we have sailing holidays for everyone! Share boats are ideal for couples and singles wanting to make up a crew sailing one of our flotilla yachts. It can provide a cost effective way for two or more persons to join a flotilla yacht as the price paid is based on two person occupancy on a two cabin yacht or on three person occupancy when sailing a 3 cabin yacht. Take a Gulet Cruise, these traditional wooden sailing ships - thought to descend from the Mediterranean schooner, can now be enjoyed cruising the Dalmatian coast of Croatia, the Cyclades and Dodecanese islands of Greece as well as the vessels traditional home waters of Turkey's Turquoise Coast. The perfect way to explore these islands and coastal waters is on board an authentic gulet cruise, meandering at a slow pace and stopping off en-route. You can remain in Turkish waters or cross the Aegean to the Greek islands or cruise the Kornati National Park in Croatia. Sunscape operate a limited number of Share-Boats on our flotillas in Turkey. This is a great solution for individuals and couples wanting to make up a crew sailing on one of our flotilla yachts. Sunscape will ensure that one crew member has sufficient experience to act as skipper. Or why not try one of our stylish Yacht Cruises where all nautical and catering matters are being taken care of by our professional skipper and hostess. Extras: £40 per person Airport Transfers. Drinks (alcoholic and non alcoholic drinks are purchasable from the on board bar). Extra costs for Greece should you wish to visit Rhodes and/or Symi. Customers often ask how they go about chartering in the UK, perhaps for a company’s team building exercise or just to let the family try a day afloat as a taster before chartering in the Med. As a solution Sunscape are now proud to offer two different Skippered yachts ‘Jessica’ our Najad 52 is available from Hamble near Southampton or 'Clearwater' the Bavaria 44 sailing from Portsmouth Harbour. Each is available for a single day sailing in the Solent or for longer charters to explore the south coast of England, Channel Islands or the northern French coast. Description Welcome aboard Coffee, Skippers briefing, Learn the ropes, Explore the Solent, Lunchtime anchorage. Prices per yacht per day. A day tailored to your requirements which could include, sailing the Solent, onboard catering for Breakfast and three course lunch, limited bar, sailing tuition, team building exercise, afternoon tea. Prices Per Yacht per Days 5-7 Days tailored to your sailing itinerary requirements which could include the French coast, Dorset and Devon and the Channel Isles with catering as required. Prices per yacht.